U.S. officials say Iran test-fired a ballistic missile before Trump reimposed sanctions on it. For the first time in more than a year, Iran has test-fired a ballistic missile, three U.S. officials with knowledge of the launch told Fox News on Friday. The officials told Fox News the anti-ship Fateh-110 Mod 3 flew over 100 miles on a flight path over the Strait of Hormuz to a test range in the Iranian desert. “It was shore-to-shore,” said one U.S. official describing the launch, who like the others requested anonymity to discuss sensitive information. Last week’s missile launch is the first known test of the Fateh-110 in over a year since a pair were launched on consecutive days in March 2017. One of the missiles last year destroyed a floating barge roughly 155 miles away, two U.S. officials said at the time. 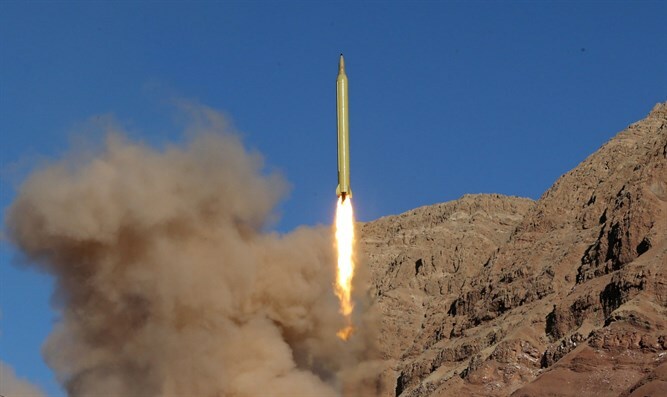 The Islamic Republic has come under fire for its test-firing ballistic missiles. The United States has several times imposed sanctions on Iran over the tests, saying its missile tests violate UN resolutions. Iranian President Hassan Rouhani has stressed that Iran will continue to produce missiles for its defense and does not consider that a violation of international agreements. One of the reasons cited by U.S. President Donald Trump when he left the 2015 nuclear deal in May was its failure to address Iran’s ballistic missile program. The latest test came days before Trump reimposed sanctions on Iran. The sanctions target Iran's access to American dollars and steel and automobile industries, ban trade with Iran in gold and other precious metals, and include other sanctions which were lifted under the 2015 deal. Additional sanctions will be imposed on November 4, targeting Iran's oil and shipping industries.